Try to hold that pose! 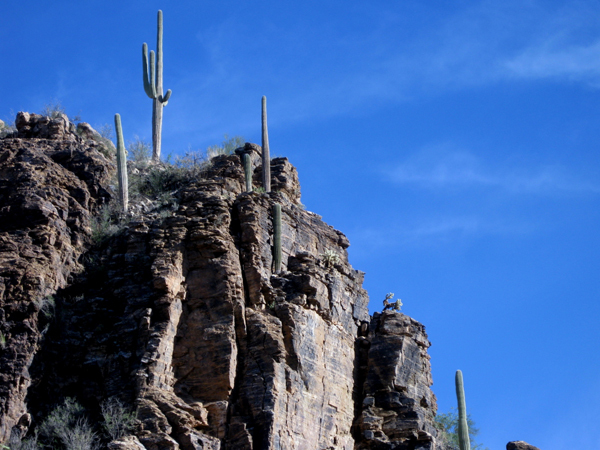 We took a 4-mile or so loop as our introduction to this area north of Saguaro National Park East. 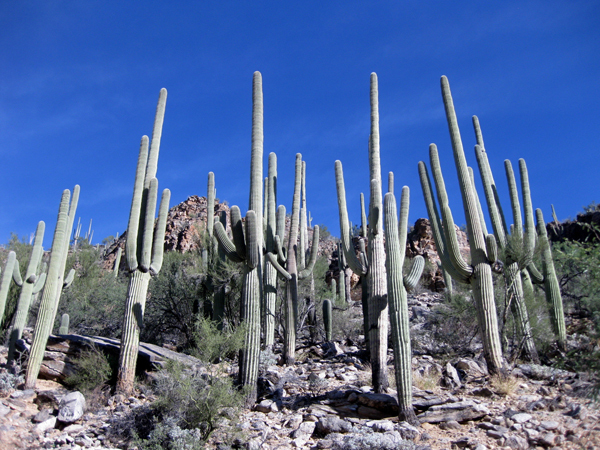 A large concentration of saguaros! 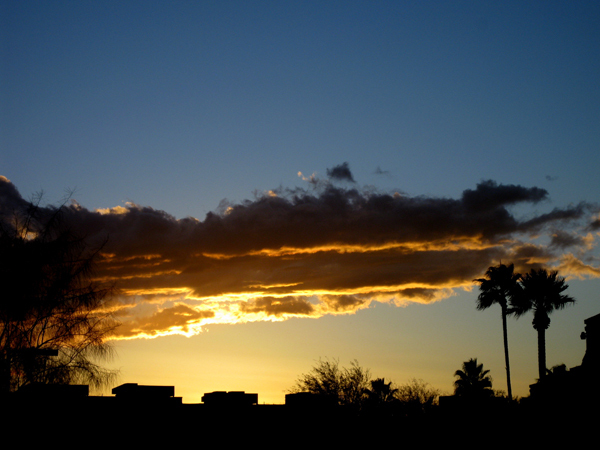 This looks out of a western movie where an iconic saguaro was stuck on the hillside for a good silhouette. 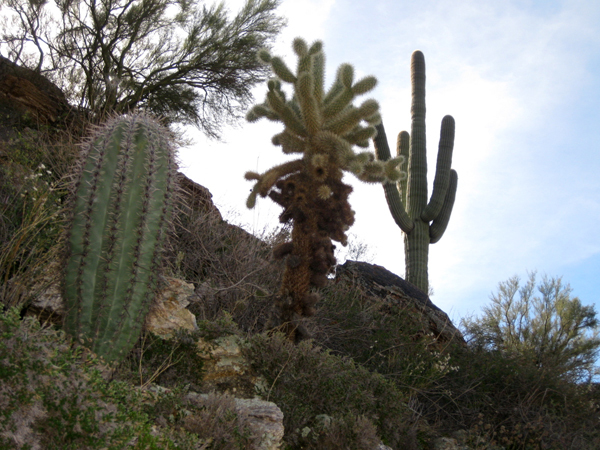 Line ’em up…barrel, cholla, saguaro. We went back on Dec 15th to do the 7 Falls trail which was very lush after the Saturday rain. 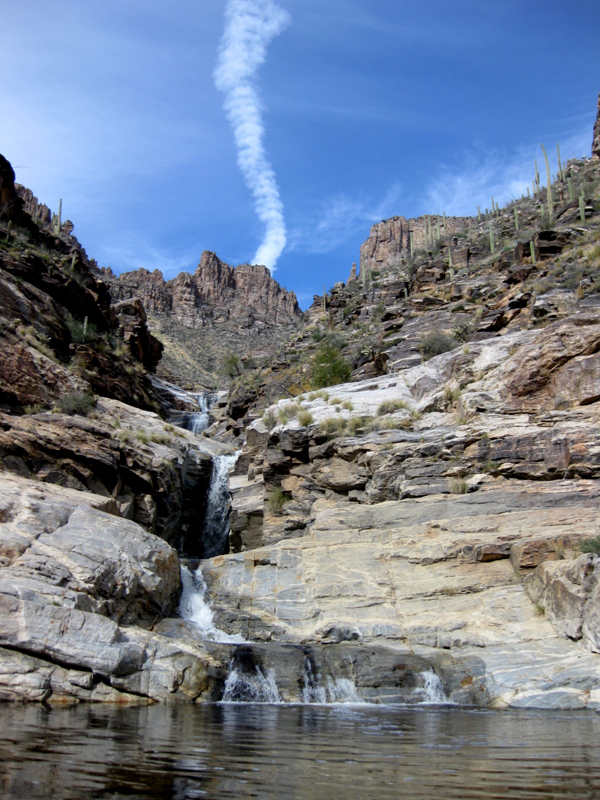 This contrail seemed to make the falls continue upwards. 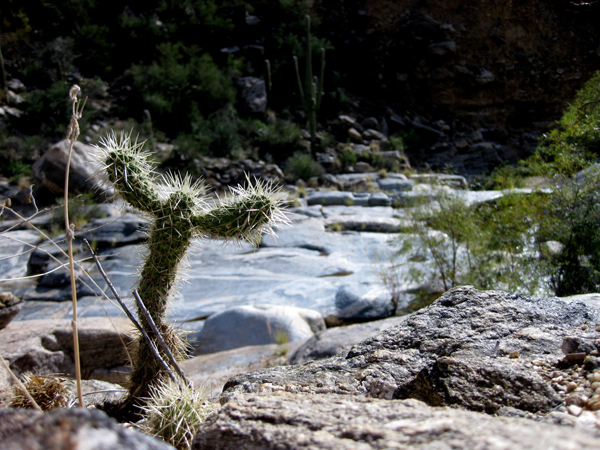 Little Gumby says this is his favorite trail…there are 7 stream crossing which adds some excitement but you follow the stream all the way to and from the falls. Back to the condo for this sunset view. 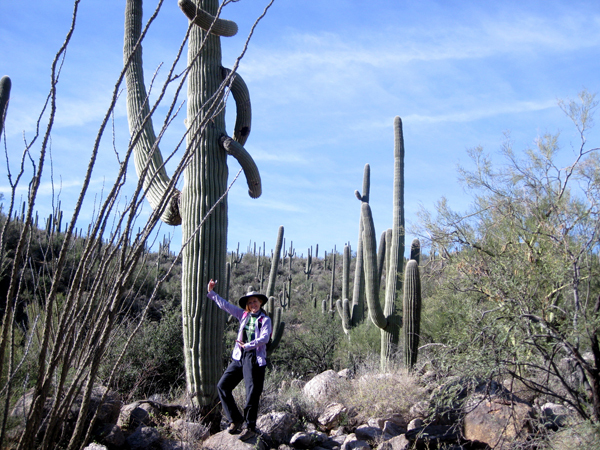 This entry was posted in Arizona, Cactus, Hiking. Bookmark the permalink.